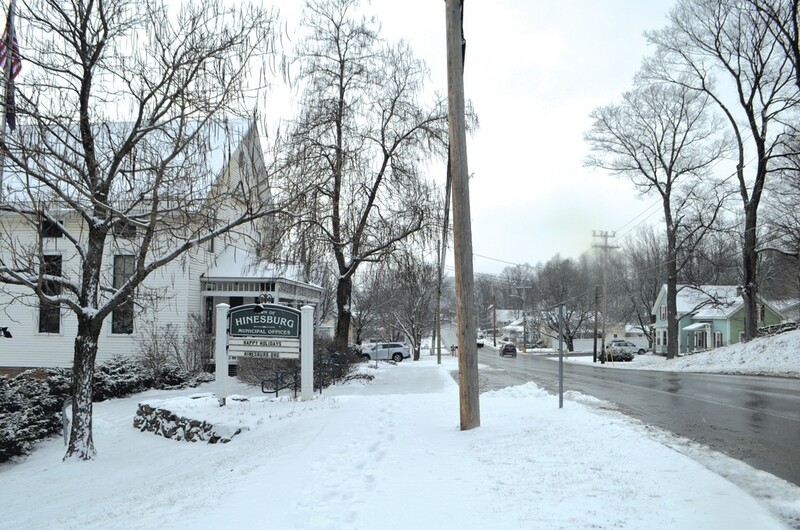 Last week in Hinesburg, light snow fell on a hayfield where town officials are collaborating with private developer BlackRock Construction on a potential new municipal well. If the project comes to fruition, it would expand local water capacity and possibly open the floodgates to construction of some 420 homes, duplexes and apartments. Early results suggest the test well is a gusher that could produce 250 gallons of water a minute — enough to supply the proposed homes. Yet some people in the town of 4,554 have mixed feelings about the well-drilling rig that arrived at the old Bissonette Farm on the northwest side of the village a few days before Christmas. They are nervous about the steady march of housing development in other parts of Chittenden County, including neighboring South Burlington, and worry that adding capacity to Hinesburg's municipal water supply could bring suburban sprawl. "I'm not against growth," said retired teacher Anne Donegan, who has lived in Hinesburg for 60-plus years. "I'd just rather not have it be 300 houses at a time." Would she want Hinesburg to look like South Burlington? "No, no, no," Donegan said emphatically last Thursday, as she prepared to push a full grocery cart to her car in the parking lot of Lantman's Market in Hinesburg Village. Fourteen miles southeast of Burlington, Hinesburg has its share of commuters who live the suburban lifestyle and drive off each morning to jobs elsewhere. It's a bedroom community, but one that has retained a rural feel. Historic buildings, mature trees and an old-style sign for maple syrup adorn the main drag, Route 116. Limited water and sewer infrastructure have protected open land and forests, and a 2009 zoning rewrite steers denser construction to the village center. That center has been slowly expanding. Small retail and restaurant spaces have popped up in new buildings, and homes and town houses line new streets extending from the core. The change is noticeable but has not come at breakneck speed. Over the past four years, the town has issued permits for 80 new dwellings, including about 15 in 2018. By comparison, South Burlington has signed off on more than 500 permits over the past four years, a pace that some residents see as too fast. In November, the South Burlington City Council passed a temporary building moratorium to put the brakes on rampant growth in that city's mostly rural southeast section. As land in towns closer to Burlington fills in, pressure to build in Hinesburg could grow. But new proposals will have to get in line. Several large developments proposed for the town's core have been stalled for roughly four years by the lack of municipal water capacity. Hinesburg's system serves only the center of the town and has about 600 residential and commercial users. The rest of the town relies on private wells. The stalled projects include a plan for 100 residential dwellings on land surrounding the NRG Systems offices on the east side of Route 116, as well as an additional 69 homes, apartments and town houses at the partially built Milot Real Estate subdivision on the west side of Route 116 near Farmall Drive, where the Bristol Bakery & Café is located. The largest proposal is a 250-unit neighborhood to be developed by BlackRock on 85 acres of the former Bissonette Farm. The parcel is near an existing town recreation field and is bounded by Shelburne Falls Road and Route 116. The project would include 50 units of senior housing and 50 additional rentals, as well as town houses, single-family homes and commercial space. The densest part of the development, including two-story mixed-use buildings, would be close to Route 116. The project is designed to conform to local zoning that encourages growth in the town core, rather than leapfrogging to distant patches of land. But for six years, it's been stuck at the beginning phase of the local review process, largely due to lack of water capacity. Under local zoning rules, projects in the village area can't advance to full review until they have received a water and sewer allocation from the town. The selectboard granted BlackRock some allocations, but its proposal is too big for the system to get full approval. Now BlackRock hopes to clear this obstacle. Under an agreement with the town, the company is paying the roughly $35,000 tab for preliminary well testing at the Bissonette Farm. If further tests bear out the promising initial results, the town would seek state water permits and ask voters to support a bond to develop the well and connect it to the town's water system. The new well likely would not be operational before 2020. BlackRock would convey the land to the town and have rights to 30 percent of the well's yield — likely more than enough to cover its proposed development on the Bissonette Farm, according to the developer. 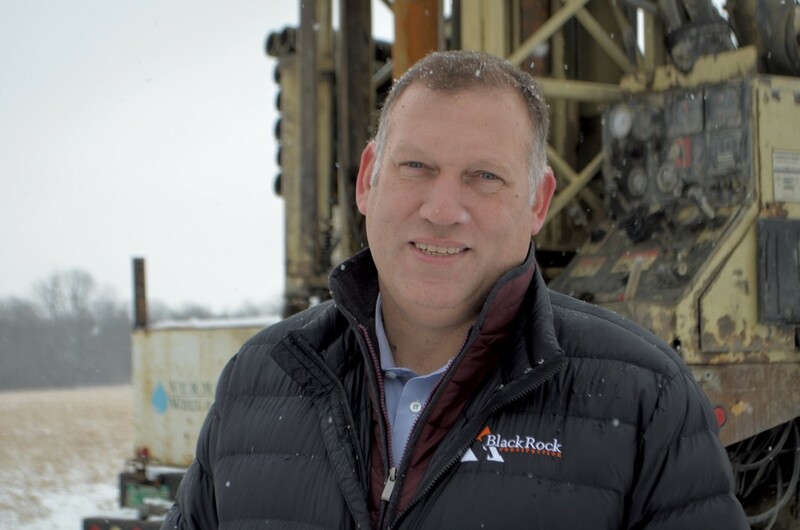 The well partnership is a first for the South Burlington company, which has developed more than 100 houses and apartments in other parts of Chittenden County, BlackRock vice president of development Ben Avery said last Thursday, as he stood in a thin layer of mushy snow next to the tall drilling rig. He sees the collaboration as a win-win because it will support not only his project but others in the pipeline in Hinesburg. "Do I get a benefit? Yes," Avery said. He added that he believes the town of Hinesburg is the "real benefactor, if we find a substantial well." The chance to build a neighborhood that connects the historic village center with existing local recreation fields and paths makes it worth slogging through the lengthy local review process, Avery said. It hasn't been easy, though. "Hinesburg has a very challenging permit and development environment," Avery said. "How's that for diplomatic?" Hinesburg director of planning and zoning Alex Weinhagen said the bond for a new well could be in the million-dollar range, and it's unclear whether voters would approve it. With a small user base, it's difficult to grow infrastructure because the cost per user can seem high, Weinhagen said. Developers pay fees to connect to the system, but it's still difficult to come up with affordable formulas to expand it, he said. Hinesburg is not among the dozen Chittenden County towns in the Champlain Water District, a consolidated regional supplier of drinking water to 70,000 people in the Champlain Valley. The public entity pumps water from Lake Champlain's Shelburne Bay, purifies it at its South Burlington headquarters, and distributes it through pipes, pumping stations and storage wells to towns including South Burlington, Shelburne and Williston, all adjacent to Hinesburg. Burlington has its own water system. Over the years, Hinesburg has considered joining the Champlain Water District to expand local capacity, but locals believed that the cost estimates of $10 million to lay pipe to connect with the system are too high, Weinhagen said. Some town residents are reluctant to allow big changes, and they are not afraid to fight them. A proposed Hannaford grocery store has been locked in a permit battle since 2010 and remains stalled. It has already received its water allocation. The Hinesburg Development Review Board denied a revised version of the proposed store last year, and Hannaford has appealed the decision in environmental court. The volume of the proposed housing units that are floating in water-related limbo has split town residents, according to Weinhagen. Some favor more housing, especially for seniors, and growing the tax base, he said. But others see the proposals as a difficult pill to swallow. "In general, and I think it's true in most communities, change is difficult," he said. "And in general, people who live here now like the way it is." Some residents, such as Kenneth Russell, cast themselves as moderates on the growth question. "I think growth will happen because of the proximity to Burlington," said Russell, as he worked remotely on his laptop in the Bristol Bakery & Café. The health and wellness coordinator wants additional well capacity to help small businesses grow in the center of town and to add some new housing. But Russell said he would not want Hinesburg to "become like Williston" or the big cities he's lived in where he felt powerless against the march of sprawling development. He's also worried about rush-hour congestion on Route 116. "My main concern is the road traffic," Russell said. Reservations such as his are common, Weinhagen said: "Most Hinesburgers think of us as a rural community."